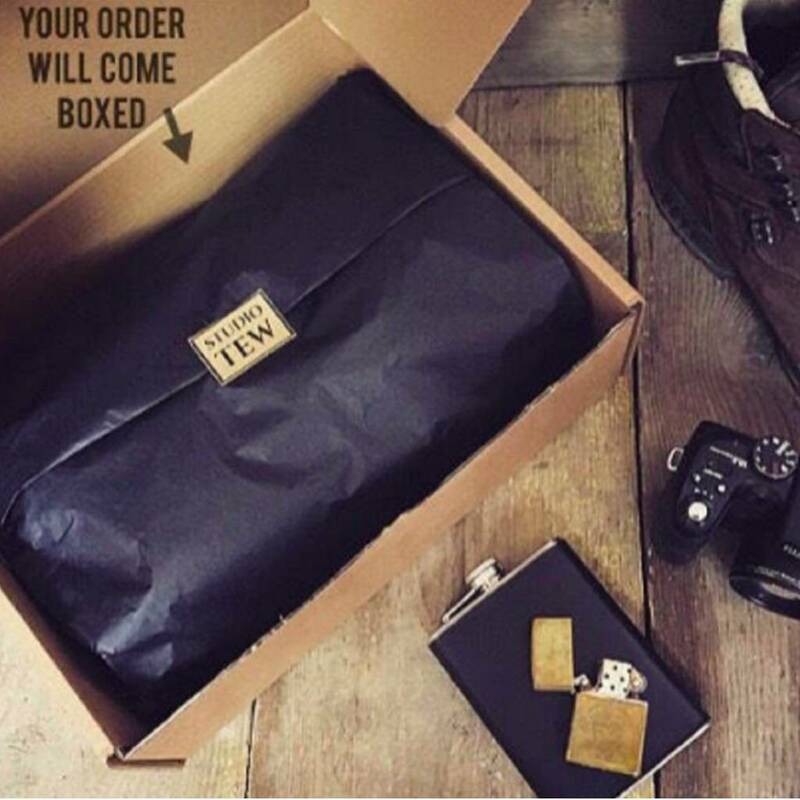 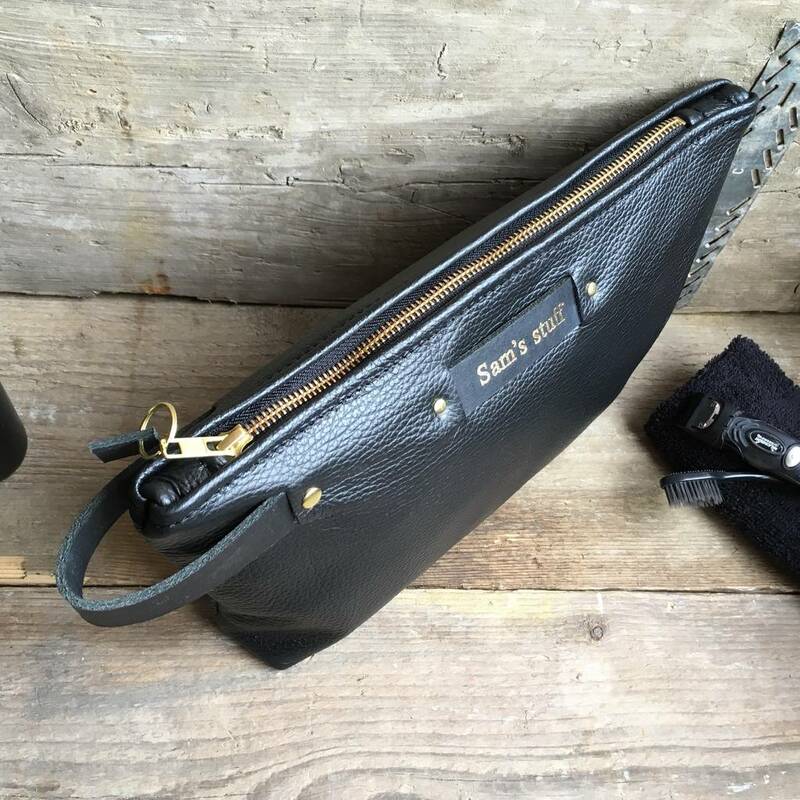 This leather wash bag is a sophisticated travel essential. 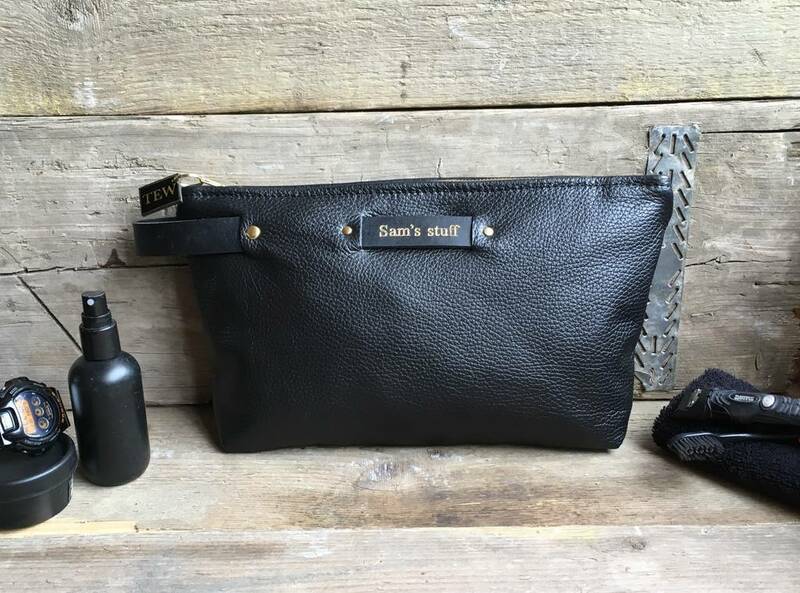 With a practical, quality zip fastener and large waterproof compartment, and decorative handle, this simple leather wash bag provides a perfect holder for all your bathroom essentials. The perfect companion for weekends away and an ideal bon voyage gift. 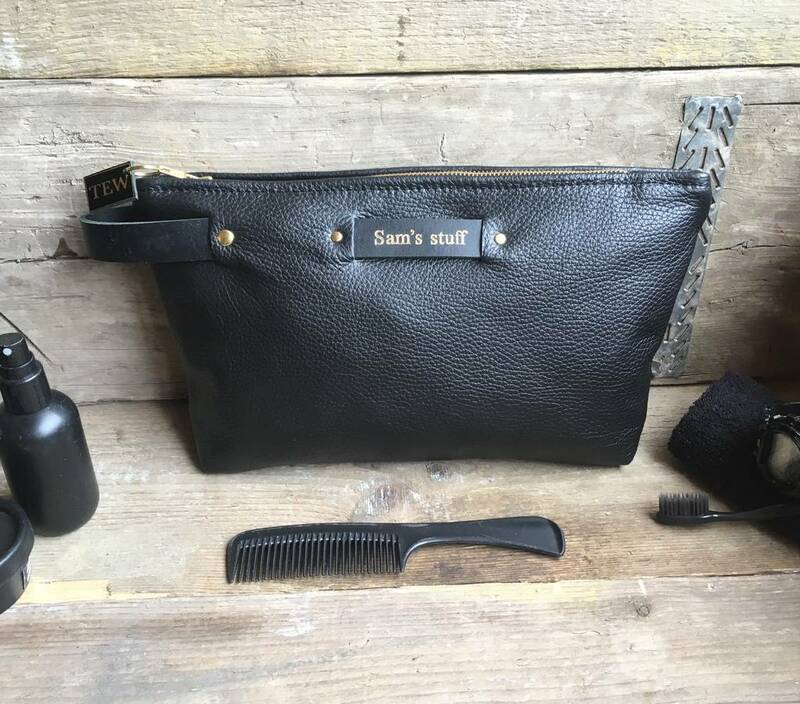 The wash bag can be personalised on the front with either a name, date or initials. 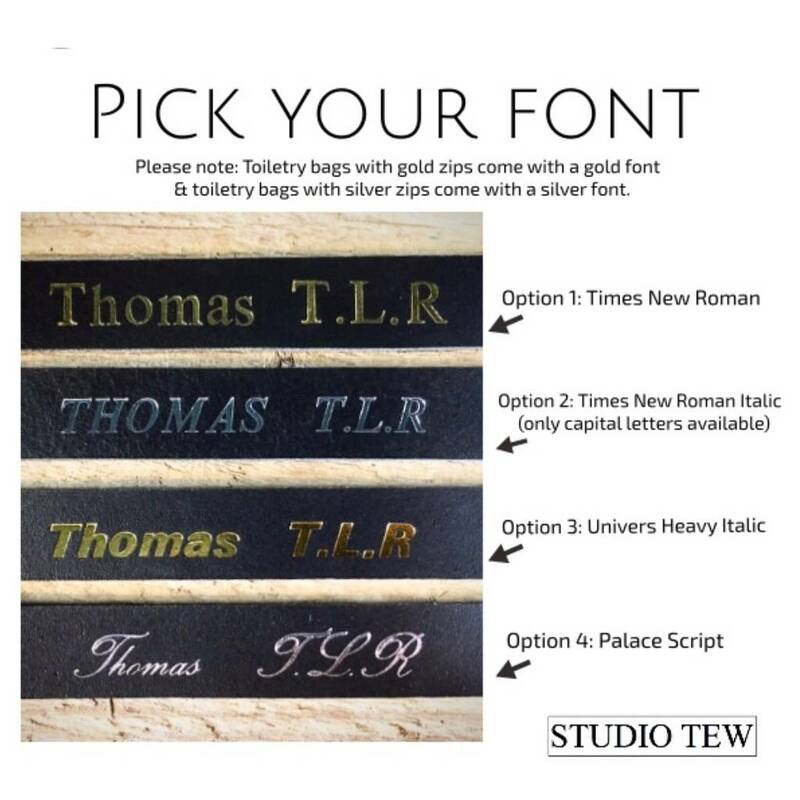 There is a choice of 4 fonts to pick from. 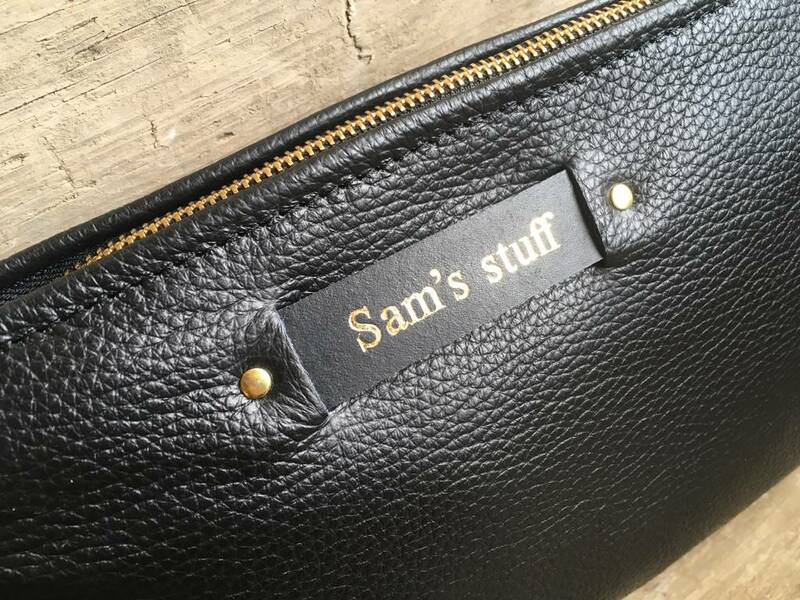 It's exterior is made from 100% leather. 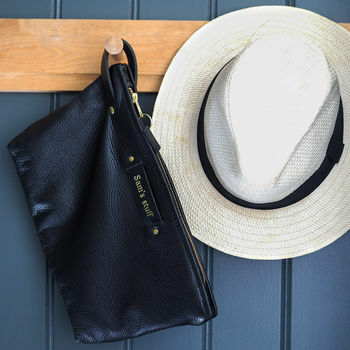 Inside is a large, undivided space that is fully lined in a black, waterproof lining – great if you just want to chuck it all in there without worrying too much about organisation. 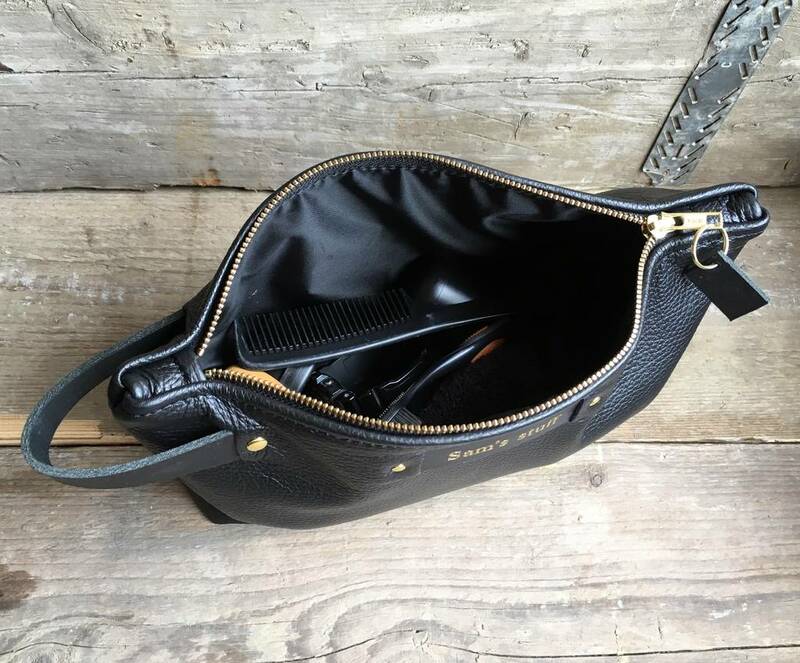 All of your essentials are kept safely inside with a YKK zip, 26 CM in length. 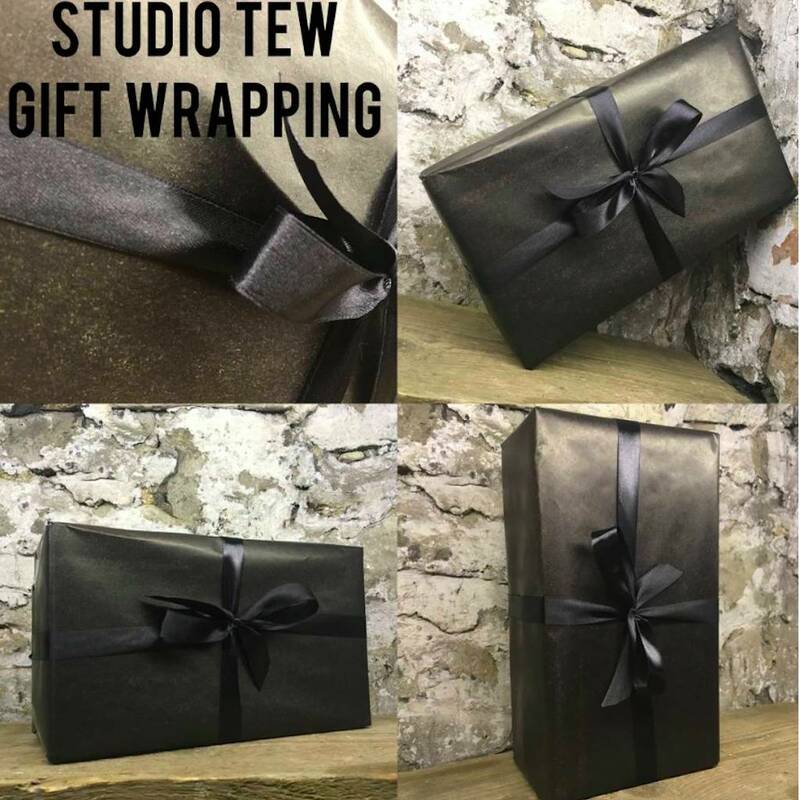 This product is dispatched to you by Studio Tew.